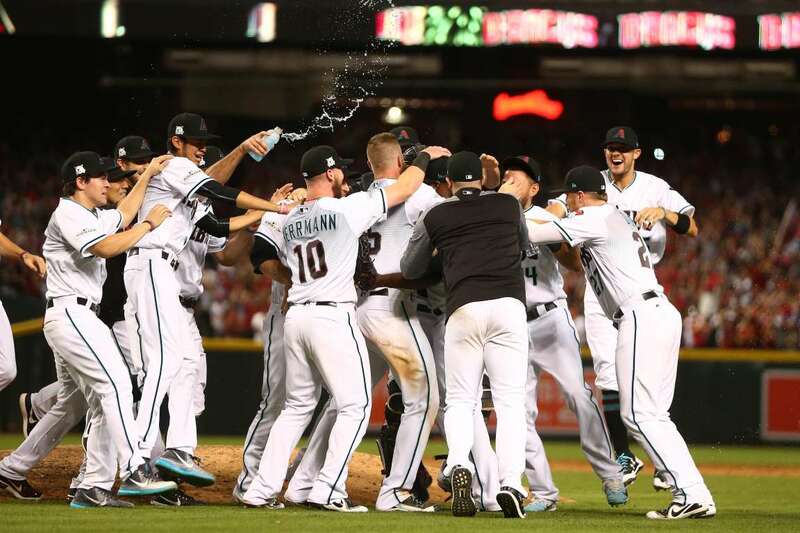 Diamondbacks players celebrate after defeating the Rockies on Wednesday in Phoenix, AZ. The Diamondbacks won 11-8. Wild celebration Diamondbacks players celebrate after defeating the Rockies on Wednesday in Phoenix, AZ. The Diamondbacks won 11-8.